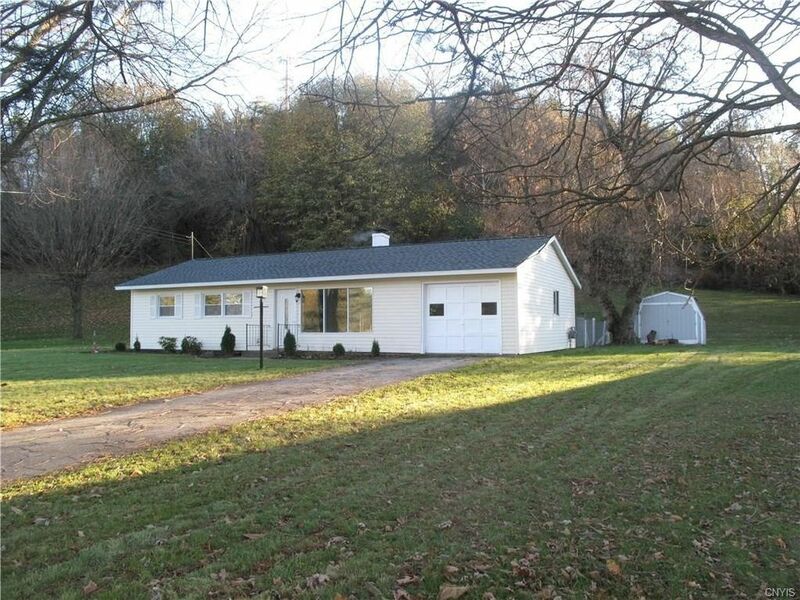 You owe it to yourself to visit this sparkling Camillus Ranch; it is one level living at its best. Nearly $30,000 in upgrades and improvements have just been completed. The kitchen. and two baths have been completely remodeled; all flr covering is new; interior has been painted throughout; all fixtures updated; newer appliances including front load washer/dryer; & updated electric service. The rear yard is private, bordered by woods, and partially fenced. The bright open floor plan includes an optional 4th bedroom/office, plenty of space for entertaining and first flr laundry. The location is ideal; quiet neighborhood and less than 5 minutes from township 5. Hot water baseboard heat and new replacement wndws means low ($100) monthly utilities. Taxes do not include $780 STAR exemption.